Uses: General, Christ the King, Festival Scripture: Philippians 2:9-11 A noble new setting of the lesser used tune for this regal hymn text. 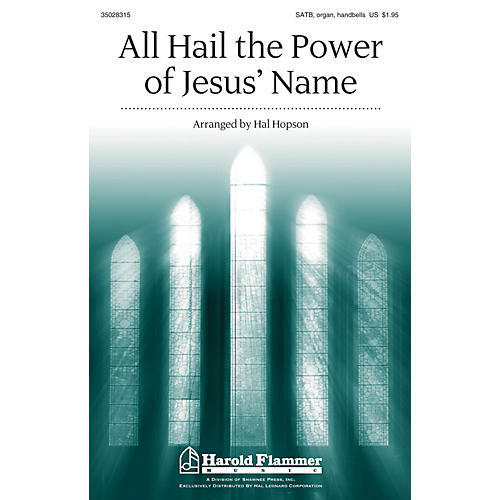 Useful as a choral offering or as an enhanced congregation song, this effective setting will encourage the faithful and offer the choir a chance to lead in worship. With the addition of the easily fielded handbell part, this is an almost instant anthem for use on Christ the King Sunday or any time. Handbell part for 2 octaves included. Duration: ca. 3:20.